Will have physical or face to face contact with a patient. Will have contact with potentially contaminated items including, but not limited to, blood and/or body fluids. Anyone who will enter a Juntendo University Affiliated Hospital in association with a Juntendo University academic program must meet the immunization requirements. The immunization requirements may be downloaded from the following link. All supporting documents must be submitted in either English or Japanese. All supporting documents must be certified by a health care organization. All vaccination dates must list a day, month, and year. 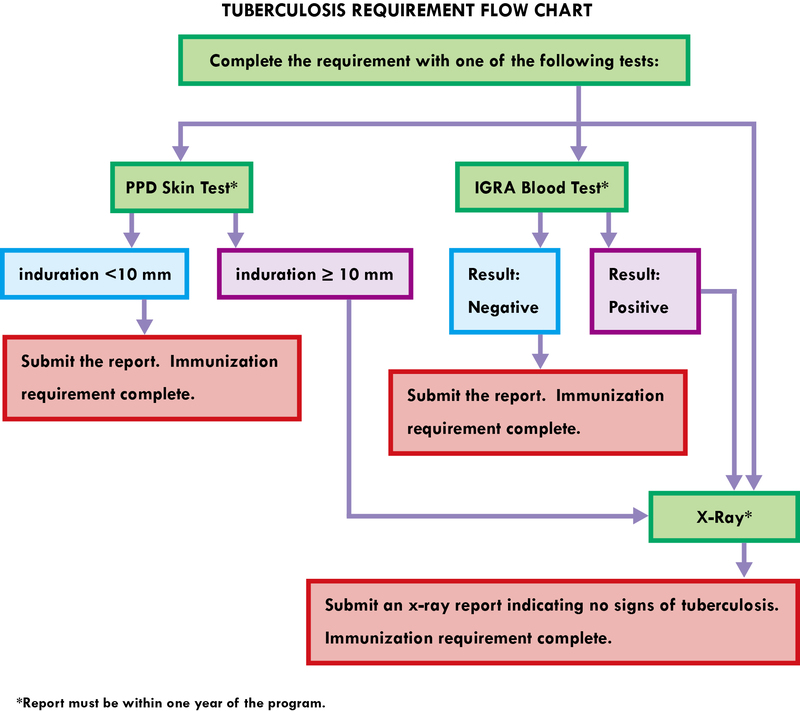 Tuberculosis reports must be dated within 1 year of the arrival date to meet the requirements. An influenza vaccination is necessary for anyone who plans on entering a Juntendo University Affiliated Hospital between October 1 and April 30. Serology reports should be in one of the following units: milli-international units / milliliters (mIU/ml) or EIA (Enzyme Immunoassay). The immunization requirements are based on the standards set by the Japanese Society for Infection Prevention and Control. 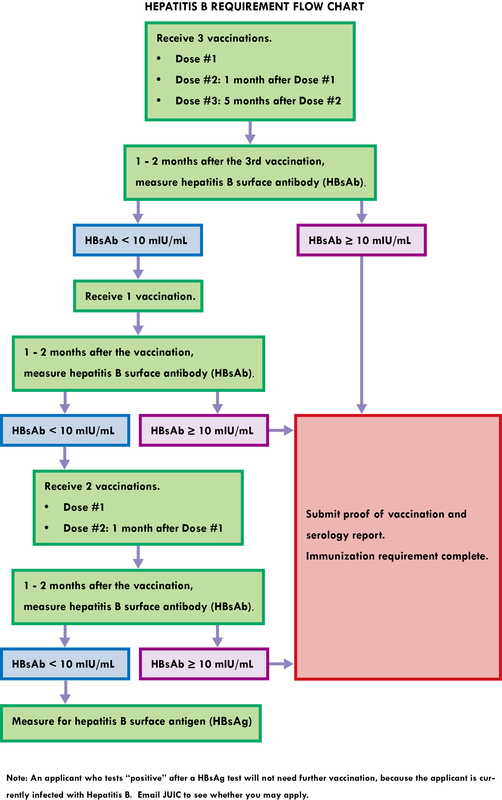 For details about individual immunization requirements please refer to the flow charts below.